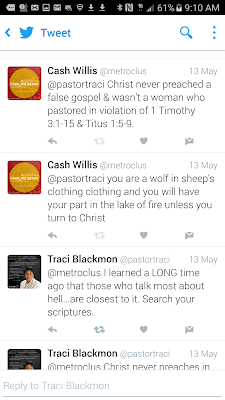 Galatians 1:8 - But even if we, or an angel from heaven, should preach to you a gospel contrary to what we have preached to you, he is to be accursed! 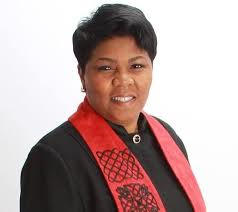 Christ the King UCC is a false church and "Reverend" Traci Blackmon is a false teacher that will lead you to hell apart from God for eternity. 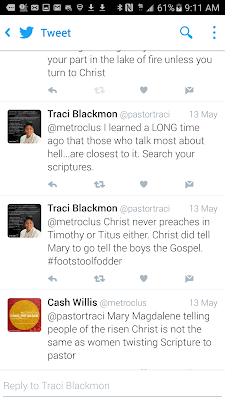 A quick examination of this false church's beliefs shows this. 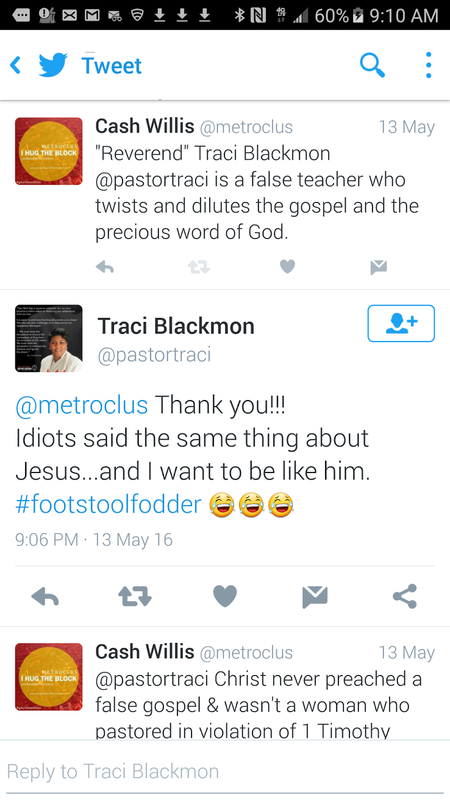 It is very vague and is not a proper doctrinal statement when compared to scripture in light of 2 Timothy 3:16-17 . It does not give clear concise statements on the deity of Christ (being God & man at the same time), there being one God, salvation by grace through faith alone NOT works e.g baptism etc, the bodily death and resurrection of Jesus Christ and especially the gospel. 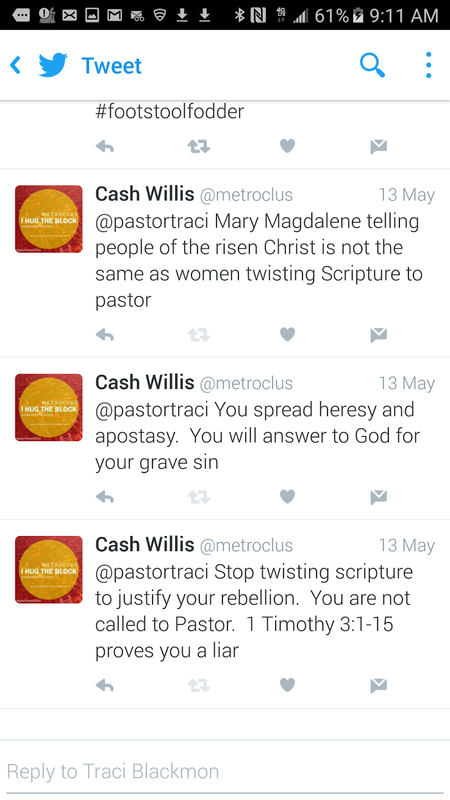 These are essential beliefs that one cannot deny in order to be a Christian. 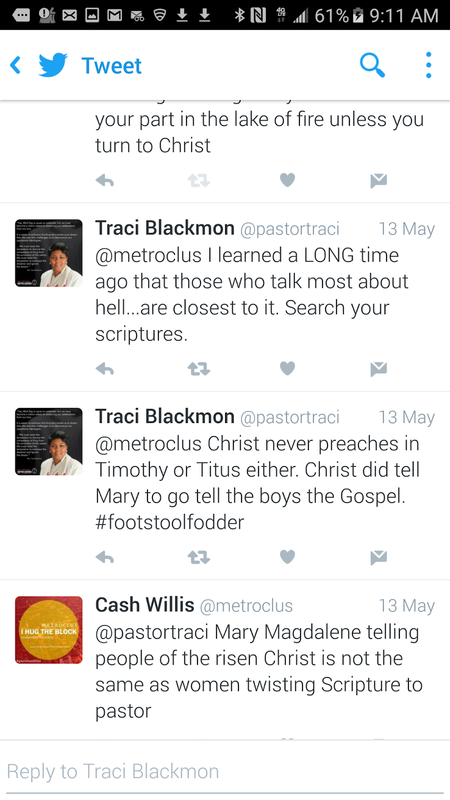 In addition to that, Traci Blackmon promotes apostasy and the perversion of God's word by occupying the office of Pastor. Are you surprised that a "church" that promotes vague teachings also twists the word of God on how his church is to be run? 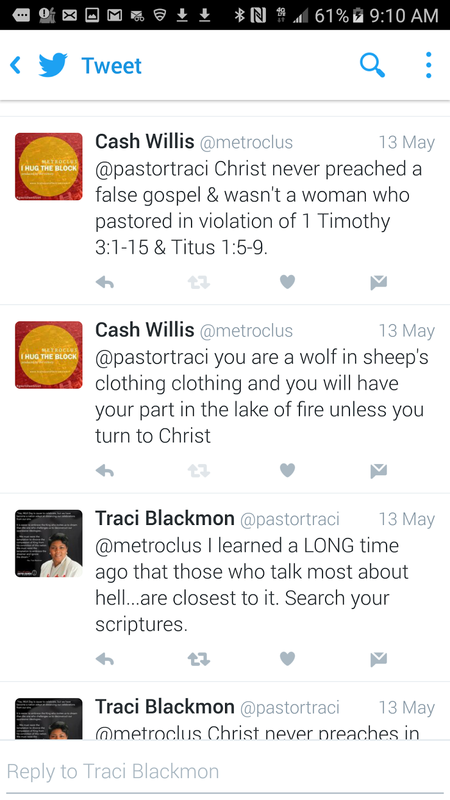 Traci Blackmon uses no scripture in context to justify her rebellion and perversion of God's word. 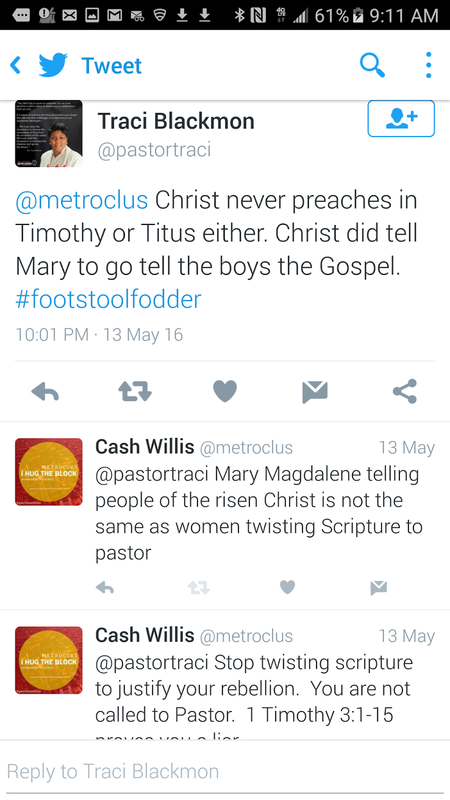 She also scoffs at Jesus's instruction in Titus and 1 Timothy. 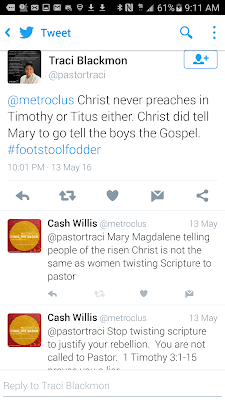 Why would anyone disobey the Lord and follow a woman who has a low view of scripture and thus God himself on what the gospel is and how his church is to be ran and set up? It is accurate to say Jesus gave instructions on how his church is to be run because Jesus gave us the Holy Spirit through us believing the gospel -Ephesians 1:13-14 and God's Holy Spirit moved Paul to write Titus and 1 AND 2 Timothy. All scripture is God breathed - 2 Tim 3:16-17 . God is one and three distinct persons at the same time(triune). I do not encourage any Bible believing Christian or anybody who desires to worship Jesus Christ in spirit and truth to attend this false church in light of 1 John 4:1 and Acts 17:11. 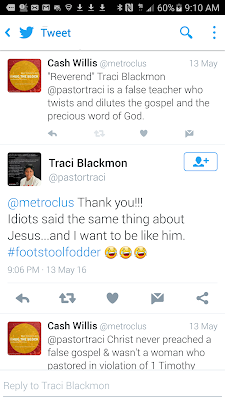 Traci Blackmon is a false teacher who perverts the gospel and twists the word of God.